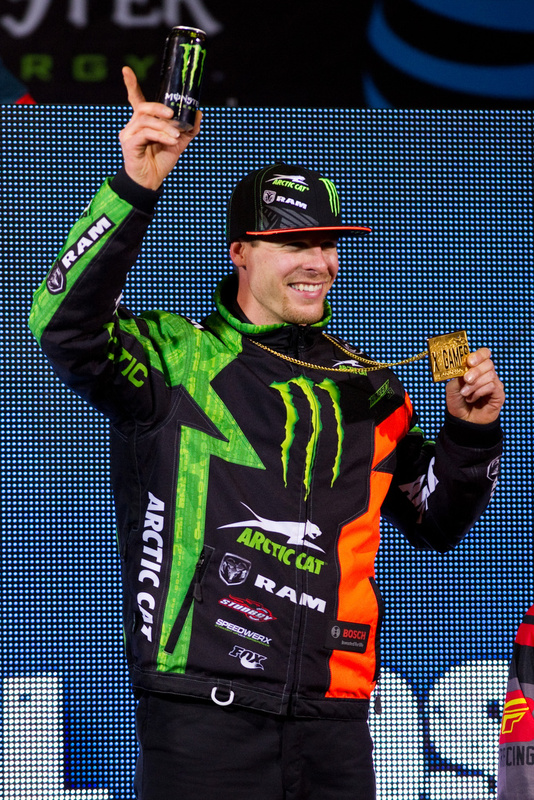 Monster Energy / Arctic Cat / Ram Truck’s Tucker Hibbert captured his ninth consecutive gold medal with a flawless performance at X Games Aspen 2016. The now 14-time X Games medalist took the holeshot and led every lap of both his qualifying race and the final Thursday evening at Buttermilk Mountain. Next up for Hibbert is the fifth stop of the ISOC National Snocross tour in New York where he’s competing for his tenth Pro National Championship. Here’s the details on how to watch the X Games Aspen 2016 Snowmobile Snocross event. Make sure to note the date and viewing options. If you don’t know your cable/satellite username and password, contact your service provider. Monster Energy / Arctic Cat / Ram Truck’s Tucker Hibbert is focused on winning his ninth consecutive Snocross gold medal at X Games Aspen 2016. 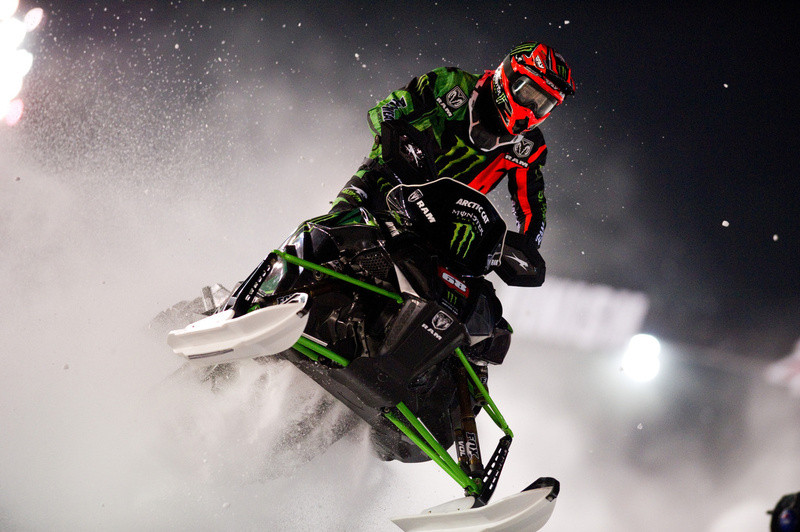 Thursday evening, the 13-time medalist will take his 16th X Games Snocross start. Hailing from Pelican Rapids, Minn., the 31-year-old is known for his methodical approach to racing and ability to adapt to any racecourse. 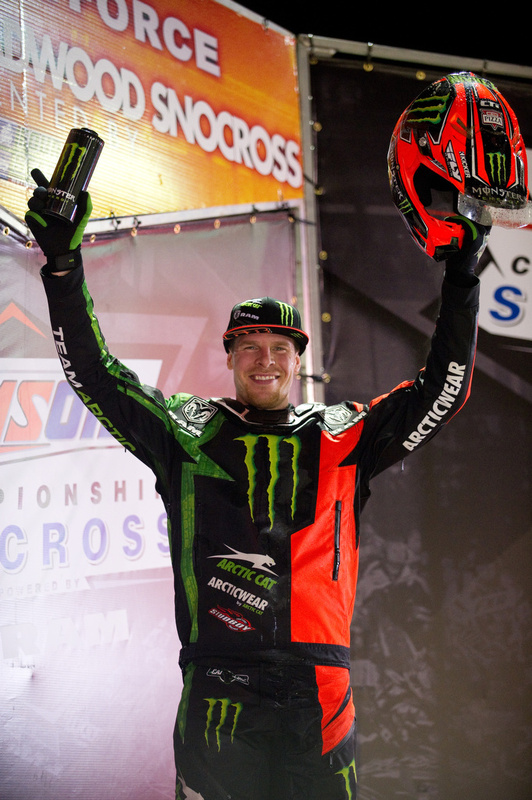 Outside of his X Games accomplishments, he’s a two-time world champion, nine-time national champion and holds 114 pro national victories with a winning percentage of 59 percent. This winter, he’s 6-for-8 on the ISOC National Snocross tour and hot off double wins in South Dakota this past weekend. 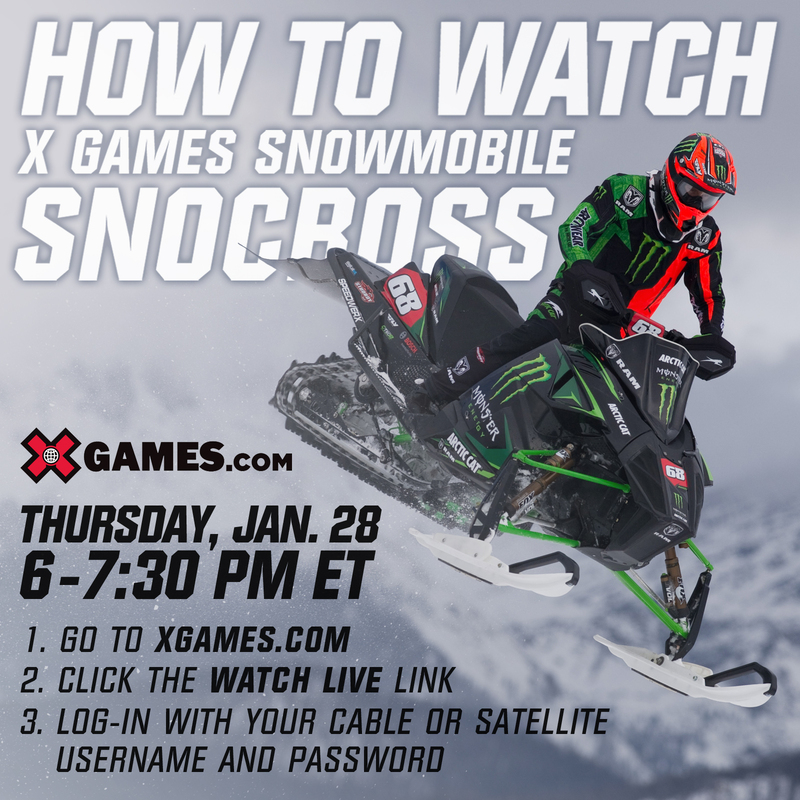 X Games Aspen Snocross qualifying and final event will be broadcast live on ESPN3 and watchESPN.com Thursday 6-7:30 p.m. ET. For more information, visit xgames.com. 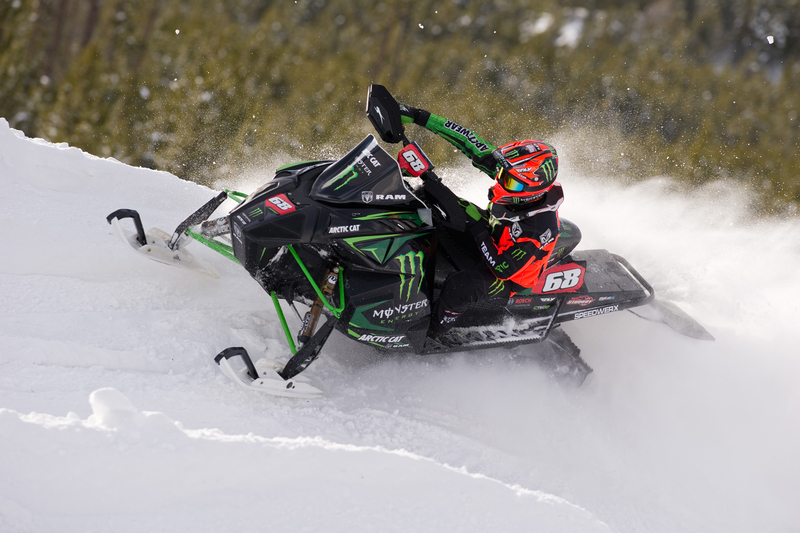 Monster Energy / Arctic Cat / Ram Trucks’ Tucker Hibbert was on fire at the ISOC National Snocross Deadwood Shootout in Deadwood, SD. The first time in his career, Hibbert won all four qualifying rounds and both final events at Days of ‘76 Rodeo Grounds. In four years of racing on Deadwood’s sub 30-second bullring style track, Hibbert has put on some of the most impressive wins seen in the history of the sport. With the memory of his jaw dropping come-from-behind win en route to his 100th victory last winter, a sold out crowd packed into the rodeo grounds looking for another show. Both Friday and Saturday night through qualifying and the finals, bad startline picks and poor starts didn’t faze Hibbert. To the delight of the sold-out crowd, no matter how rough the course got or intense the snow roost was, the nine-time champion battled his way to the front every time he hit the track. Hibbert now has a 66-point lead in the 2016 ISOC National Snocross Pro Open Championship chase. Next up is X Games Aspen where he’ll compete for a record ninth consecutive gold medal. The event will be broadcast live on ESPN3 and watchESPN.com Thursday, January 28 6-7:30 p.m. ET.